"Hungry Hippo" token, awarded by Steinsplitter. 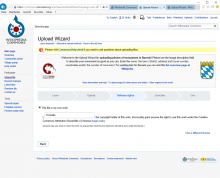 People on Commons are reporting that the "next" button in UploadWizard is missing in the "release rights" step, preventing uploads to be completed. 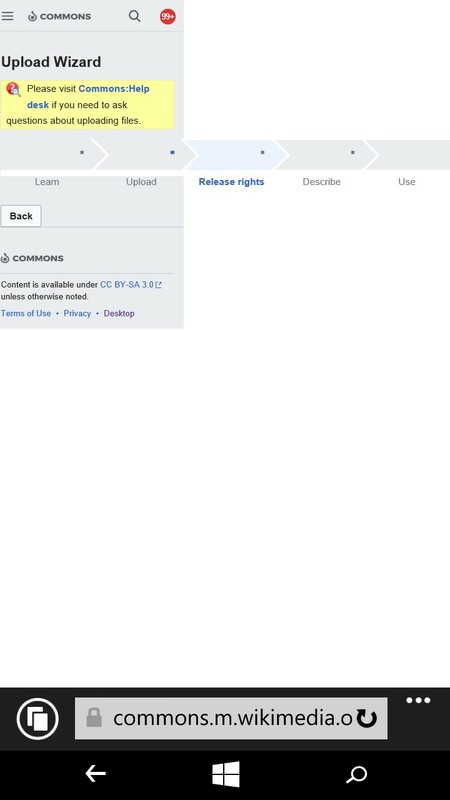 A screenshot is available here. Please monitor Commons:Help_desk#Uploading_a_file in case people report some more details there. May or may not be related to T88576. 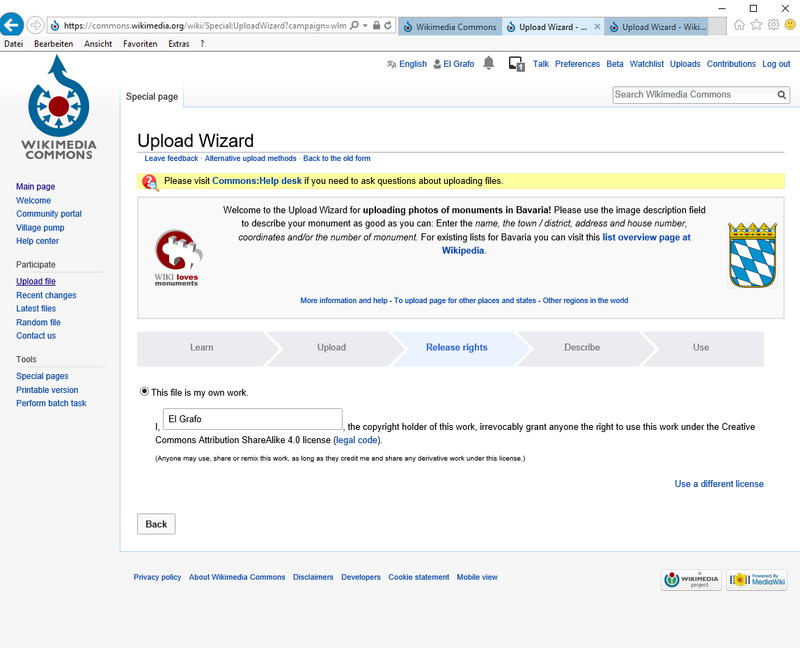 T204939: UploadWizard: 'Continue' button is not working: "Unable to set property 'licenseMaps' of undefined or null reference"
Cannot reproduce using https://commons.wikimedia.org/wiki/Special:UploadWizard?debug=true directly in Firefox 62. If Wiki Loves Monuments (or something else) is involved here, please provide exact steps (including links) to reproduce the problem. Thanks a lot! Given the timing and similarity, it looks like the fix for T204939 may have introduced this. I'm also unable to reproduce this issue, though. 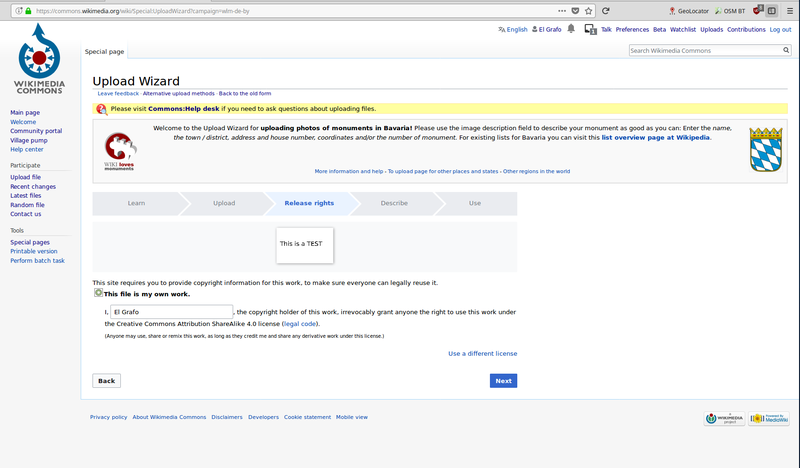 As mentioned above, it's happening at least when the german WLM campaign (https://commons.wikimedia.org/wiki/Special:UploadWizard?campaign=wlm-de-by) is used. However, I got even worse results with the plain Special:UploadWizard. no, I have not set a default license in the UploadWizard settings, it's set to "Use whatever the default is"
Confirmed: this is affecting IE users (plain UW or campaigns) due to the use of Object.values. Other browsers support it so those are fine. Patch is coming up. Apologies for the inconvenience! Aklapper added a project: Browser-Support-Internet-Explorer. 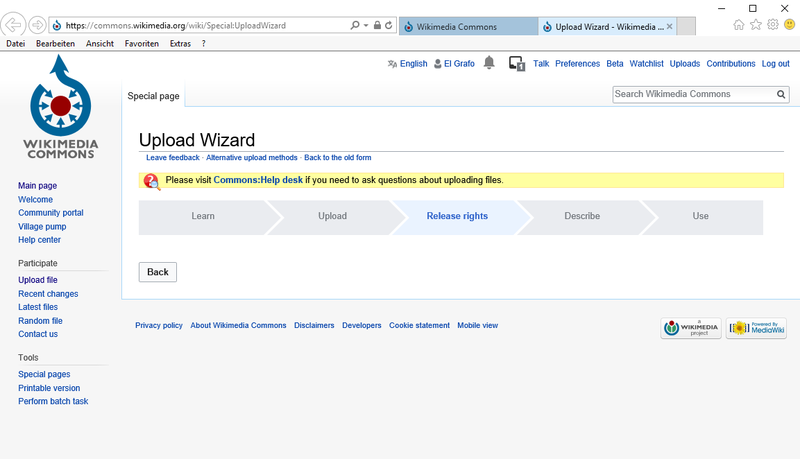 If the Wizard is invoked by Epiphany Web 3.6.1 in the OLPC OS customized Redhat, the upload appears to complete but there is no "Next" button for progress to release of rights. This is a Linux system. I don't know about Object.values but the fault is not restricted to IE. "... probably be fixed on the Wikimedia sites on Monday." OK for me. No hurry warranted. Can test again Monday afternoon or later. For sake of interest, might a functional file submission interface be built with plain old HTML5? Data entry fields but no scripting on the client side. Input checking on the server side. It already exists at https://commons.wikimedia.org/wiki/Special:Upload (well, there is some minimal scripting, but it's optional). The fix has been deployed - seems to work for me now!